My Grandma’s yummy sugar cookies! As a kid I use to love making sugar cookies with my Grandma. Unfortunately as I got older, I did it less frequently. Even though my Grandma has since passed away, around the holiday’s I always think of her and I making sugar cookies together. It is one of my fondest memories with her. My Grandma was very old school though. She really didn’t go off a set recipe. I had gotten the recipe from her but it was mainly just a list of ingredients without the measurements. For her it was easy. She just put a little of this, a little of that, and a pinch of other things. That is how she cooked. Over time I lost that list and asked my sisters for my Grandma’s sugar cookie recipe. They had one, but it wasn’t exactly like I remembered. So I set out to recreate what I remember my Grandma’s recipe to be. Year after year I would try little variations but it just wasn’t quite right. This year I finally did it. The dough was just as I remember it. I love eating the sugar cookie dough. 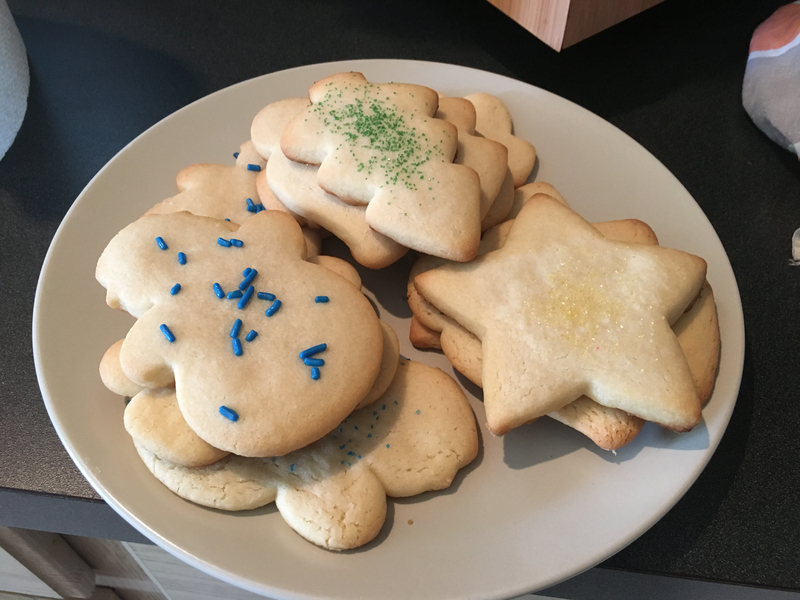 Even after I cooked them, the sugar cookies came out just the way I remembered it too. I was so excited. So I thought I would share. This might be similar to other sugar cookie recipes out there, but I don’t think it matched any of them exactly. 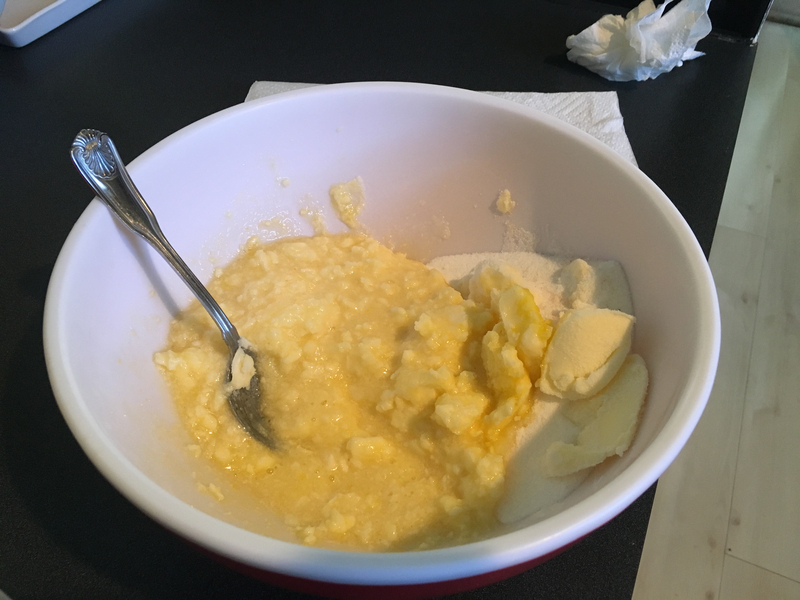 Mixing in the eggs and softened butter into the sugar cookie dough mix. I like to start out by first mixing the sugar, baking soda, cream of tartar, and salt together. I then mix in the softened butter. It is a good idea to make sure it is really soft or it will be harder to mix. You could use a mixer, but I just use a big wooden spoon. Once you have that pretty smooth, add in the eggs and continue to mix. Next add in the vanilla extract. Then start to add the flour one cup at a time. Keep mixing until you have a nice dough that isn’t too sticky. The sugar cookie dough is ready once it is not sticky and flour is completely mixed in. You can now preheat the oven to 375. Once you fill up the cookie sheet, place the cookies into the oven and cook for about 5 minutes. Be careful not to over cook them or they will turn out very hard. Once down take them out of the oven and let them cool for a few minutes. Then enjoy some warm delicious sugar cookies!! !The dough should now be ready to roll. 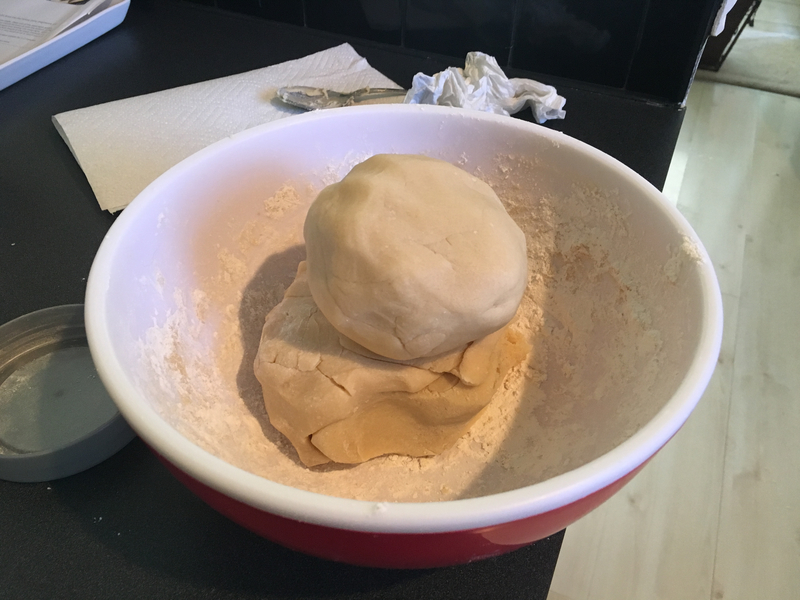 I use a rolling mat and spread flour over it to make sure the dough doesn’t stick. Work the dough into a ball and put on the rolling mat. Flatten out the dough a little with your hands. Spread a little flour over the rolling-pin and the top of the dough. Roll the dough to your desired thickness. Use cookie cutters to cut into fun shapes. If you want just round cookies you can use a glass. For extra sugar or just fun decoration, you can also add sprinkles on top of the cookies. Once you are down, place the cookies on a cookie sheet about an inch apart. Sugar cookie dough rolled and ready to cut. 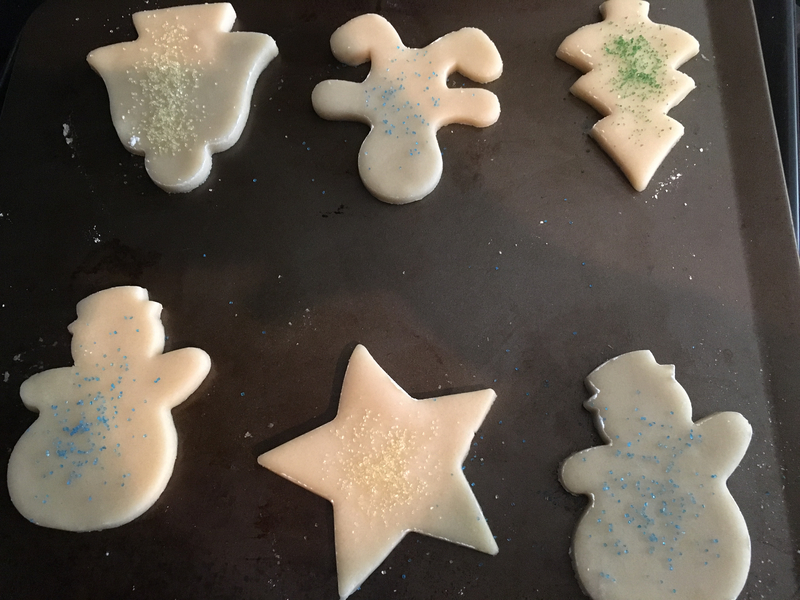 Cut the sugar cookie dough into desired shapes and add any extras to make it more delicious and special.